What makes us different from the many landscaping companies? Our employees are trained with continued ongoing training. CEO of the company regularly checks properties and we promptly resolve any service request. Chula Vista Landscaping’s commitment to customer satisfaction started back in November of 1990, when Alfredo Zavala, its founder and present owner, bought a small pickup truck and some equipment, and decided to landscape the properties he managed for an owner from California. Alfredo’s determination to do his own landscaping was born out of frustration with the lack response and poor workmanship he received by his former contractors. Today, our company employs over 75 full time workers and a support management staff ranging from our CEO, to irrigation technicians, construction coordinators, and diagnosis experts, crew’s supervisors, and office managers. Our company is ready to undertake any project regardless of size.  Chula Vista Landscaping is the leader, and will continue to lead, as one of the best landscaping companies in Arizona, always being at the vanguard of landscape excellence and customer satisfaction.